Waiting to Exhale was one of the first movies to feature African-American women in leading roles. Its soundtrack took the music industry by storm, topping the Billboard Pop and R&B charts for several weeks. 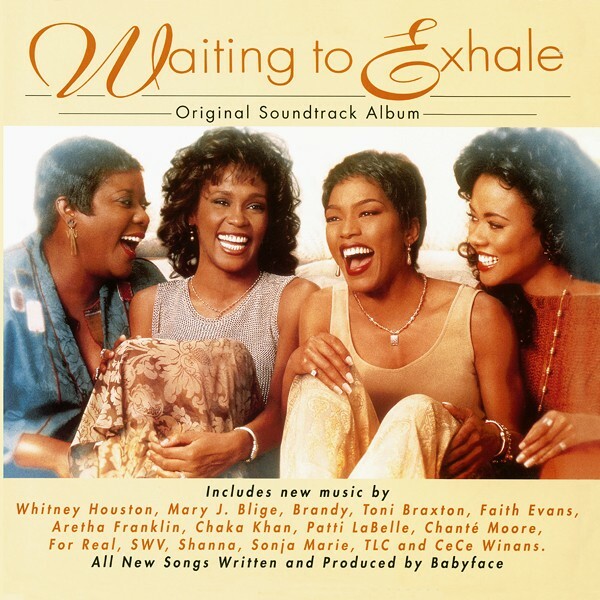 The soundtrack was masterfully produced and mostly written by Babyface, featuring divas Aretha Franklin, Patti LaBelle, Chaka Khan, Whitney Houston, Brandy, Toni Braxton and Mary J. Blige. Waiting to Exhale Made Author Terry McMillan a Literary Superstar, and, When Brought to the Screen, Was One of the First Movies to Feature African-American Women in Leading Roles. Masterfully Produced and All but One Track Written by Kenneth “Babyface” Edmonds, this lush sounding album includes the #1 Hit Singles “Exhale (Shoop Shoop),” “Not Gon’ Cry,” and “Let It Flow”. The soundtrack was originally released on vinyl only overseas in an inferior package that jammed both records inside a single album jacket pocket. Real Gone Music’s Limited Edition Purple Vinyl Double LP (of 1000 copies) package puts this landmark album out on vinyl in the U.S. for the first time with gatefold packaging featuring a luminous photo of the movie’s four female leads. Waiting to Exhale was a phenomenon on so many levels. First, it was a literary phenomenon, as the 1992 novel launched author Terry McMillan to superstardom. Then, when the feature film based on the book was released in 1995, it became a broader cultural phenomenon a mainstream Hollywood film focusing on the lives of four African-American women was a genuinely revolutionary act at the time. And, finally, it was a musical phenomenon, as its soundtrack seamlessly blended female R&B divas new (Whitney Houston, Brandy, Mary J. Blige, etc.) and old (Aretha Franklin, Patti LaBelle, Chaka Khan) in a masterful suite of songs composed and produced by Kenneth Babyface Edmonds. Critical and commercial reaction to the soundtrack was over the top; The New York Times deemed the album one of the Top Ten releases of the year, and the record topped the Billboard Pop and R&B charts for five and ten weeks, respectively, spawning the #1 hit singles Exhale (Shoop Shoop), Not Gon Cry, and Let It Flow. 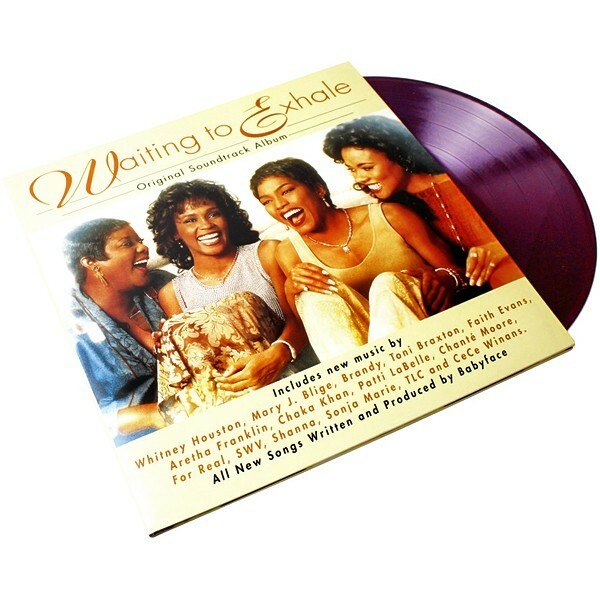 Yet, because the album came out in 1995 at the height of the CD era, Waiting to Exhale never came out on LP in the U.S., and was released in Europe as a low-budget 2-LP set with both records stuffed inside a single album jacket pocket. 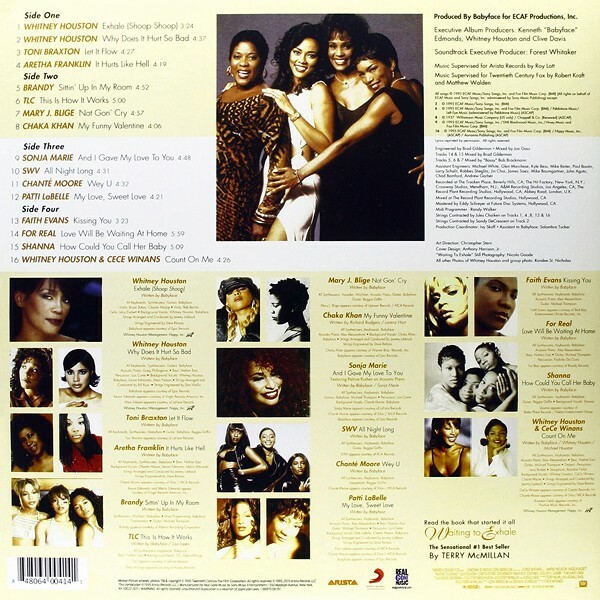 Now, Real Gone Music is releasing this landmark 90s R&B album on vinyl in America for the first time in a limited edition (of 1000) gatefold double-LP package sporting a luminous photo of the movie s four principal actors (Whitney Houston, Angela Bassett, Lela Rochon, and Loretta Devine) on the inside spread and pristine vinyl pressed in purple (Whitney s favorite color). Gently pulsating and seductive, Waiting to Exhale is Babyface s masterpiece, one of the great make-out records of all time; now you can get that slow jam groove in the grooves!